As an environmental engineering major, you’ll learn how to work at the interface between human society and the Earth’s natural systems. 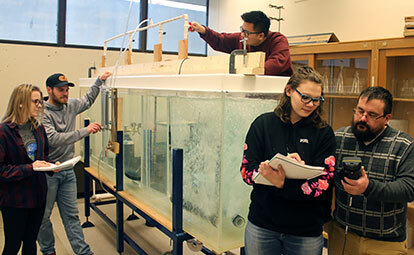 You’ll learn to apply math, natural and engineering sciences, and engineering analysis in environmental system design. You’ll learn to think both quantitatively and critically. Upon graduation, you’ll be prepared to make a difference for the Earth and human society through a lucrative and exciting career in consulting practice, government or industry.